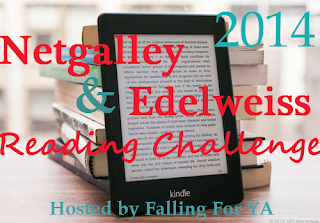 Welcome to the February Review Link Up for the 2014 Netgalley & Edelweiss Reading Challenge. Before linking your reviews make sure you are signed up for the challenge here. This link up will be open until January 31st. I got behind one day and didn't post my reviews for January, is it okay if I post in February? Forgot to add my links in January! Going to have to add them all here. Hope that is okay! Hello there. I missed some last month, so added in now, plus some I did do this month. I may get in one more before this month closes, we'll see. Noticing a lot of responses. Great. Should keep me busy seeing what others read and maybe adding some items to the TBR.